There was a 1.5% jump in the volume of retail sales in the month of September. When volatile car sales are excluded, the increase was of the order of 2.8%, according to the latest figures from the Central Statistics Office. The annual increase in sales volumes registered at 6.5%, or 6.3% with car sales stripped out. Electrical goods and hardware were the sectors with the biggest monthly increases with department stores accounting for the largest month on month decrease. The monthly increase in sales values corresponds closely with the volume increases. Sales values increased by 1.5% in the month and by 2.5% with car sales figures removed. There was a 5.9% increase in the value of retail sales over the year to September. That figure adjusts marginally to 5.5% when car sales are excluded. It's an improvement on the scenario in recent years whereby volume increases were far outstripping value increases. It could be interpreted as a sign that retailers are not having to discount their prices as deeply as before in order to attract consumers into their stores. Alan McQuaid, chief economist with Merrion said the figures were better than expected with consumers continuing to spend strongly despite savings being at record-highs. "Retail sales continue to remain erratic on a monthly basis but the underlying trend is positive. 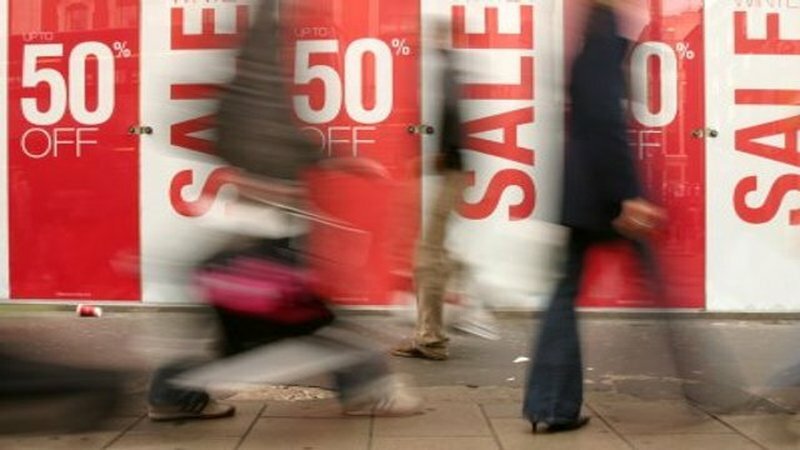 What happens on the currency and Brexit fronts will be important factors in determining overall consumer spending patterns in the Republic over the next twelve to eighteen months, but we are still expecting to see healthy personal consumption in the Irish economy over the remainder of this year at least and into 2019 as well as things currently stand."